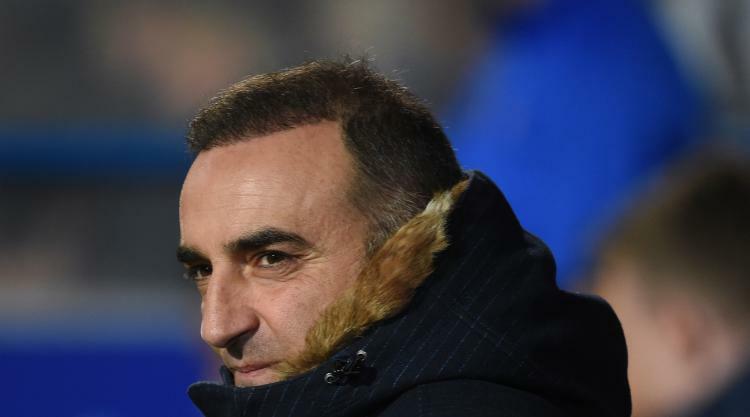 Carlos Carvalhal intends to look "very deeply" into Sheffield Wednesday's current plight as they prepare to host Sky Bet Championship leaders Wolves. The Owls have so far not been able to replicate last season's efforts, when they finished fourth before losing to Hudderfield in the play-offs. Defeat at Norwich last weekend extended their winless run to five matches, leaving them 10 points behind city rivals Sheffield United, who are sixth. Despite having to manage without several first-team players because of injury, Carvalhal - who will serve a touchline ban on Friday night following his dismissal against Hull earlier in the month - is confident the results will come. "We knew expectation would be high, but we understand that," Carvalhal said. "We try to do better than last season and knew the risks we would take because of the expectations. "The Championship is more balanced in this moment and teams like Wolves are getting better and better. "But we believe in our work. When we analyse something we don't just look at the last games, we look very deep into all the things. "I am resilient, I know where the problems (area), some of them we can solve. "We need to recover the (injured) players to have more internal competition, like in the last two years." Wednesday had drawn their previous four matches before the 3-1 loss at Carrow Road, where they lead at half-time through Jordan Rhodes. Carvalhal added at a press conference, broadcast live on the Sheffield Wednesday Facebook page: "We are not afraid of anything. "We will try to be organised and will fight for the three points, even if we know the team we are against the best team of (the last) two years in the Championship." Carvalhal's fellow Portuguese coach Nuno Espirito Santo has impressed with the way his organised Wolves side have opened up a four-piont lead at the top of the table. They have an eight-point advantage over third. While the Molineux faithful may already be allowing themselves to dream of a return to the Premier League, Nuno will not let anything destabilise the group - and that includes buying just for the sake of it when the transfer window re-opens. "T he decisions we are going to make (in January) will be made with a lot of thinking time, a lot of consideration and a lot of dialogue, knowing that we still have a long way to go - and we cannot make any kind of mistakes," Nuno said on the club's official website. "When I say that, to come to the squad of Wolves in this moment, he has to be something that gives us an increase of quality and different characteristics that we don't have. "We are very, very happy with the squad that we have."